In celebration of the recent release of Frictional Games latest game 'SOMA' (which I am currently playing) and the arrival of October - or as I like to call it; the month of HORROR! 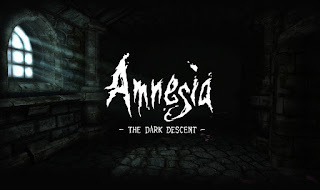 I thought it would be fitting to look back at what is considered to be one of the best horror games ever made; 'Amnesia: The Dark Descent'. Now is this a title that the game deserved or is it actually an overhyped bore?